On Wednesday, March 31, Spruce Restaurant in Park City will host a wine dinner featuring wine pairings from E. Guigal, one of the best-known domains in France’s Rhone Valley. 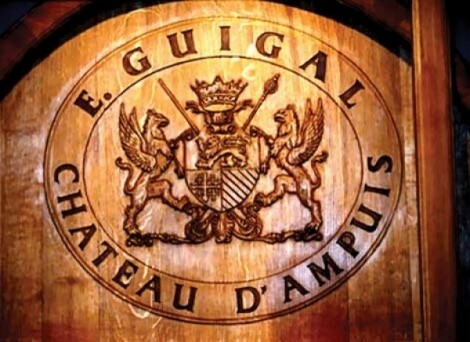 Since 1946, Guigal has been producing award-winning wines such as the single-vineyard Cote-Roties (La Landonne, La Mouline and La Turque). Featured pairings for the Spruce/Guigal wine dinner include grilled day-boat scallops with Guigal Condrieu 2007; roasted guanciale-wrapped squab and seared foie gras with Guigal Chateauneuf-du-Pape; and lamb shoulder and belly with Guigal Cote-Rotie Brune et Blonde. The price of the dinner is $125 ($50 dinner/$75 wine). To make reservations, phone 435-647-5566. News from Gastronomy Inc.: Dine at Gastronomy Inc.’s downtown Market Street Grill, Oyster Bar or New Yorker and you can make use of their free shuttle to and from home Jazz games. Also, the Cottonwood Market Street Grill is now open Saturdays for lunch. For more Gastronomy news and information, visit GINC.com. Park City’s No Place Like Home store will host a six-week Cooking Essentials course with Susan Odell from Foodell. com. Class topics include knife skills, pantry stocking, proteins, starches, vegetables and grains & legumes. Each class is interactive and will include a tasting of all the dishes made in class. The Cooking Essentials course begins on Wednesday, March 31. The cost for the course is $250 per person and includes a $50 store credit to No Place Like Home, located at 1685 Bonanza Drive. Phone 435-649-9700 for reservations.